The right tool for just the right torque. 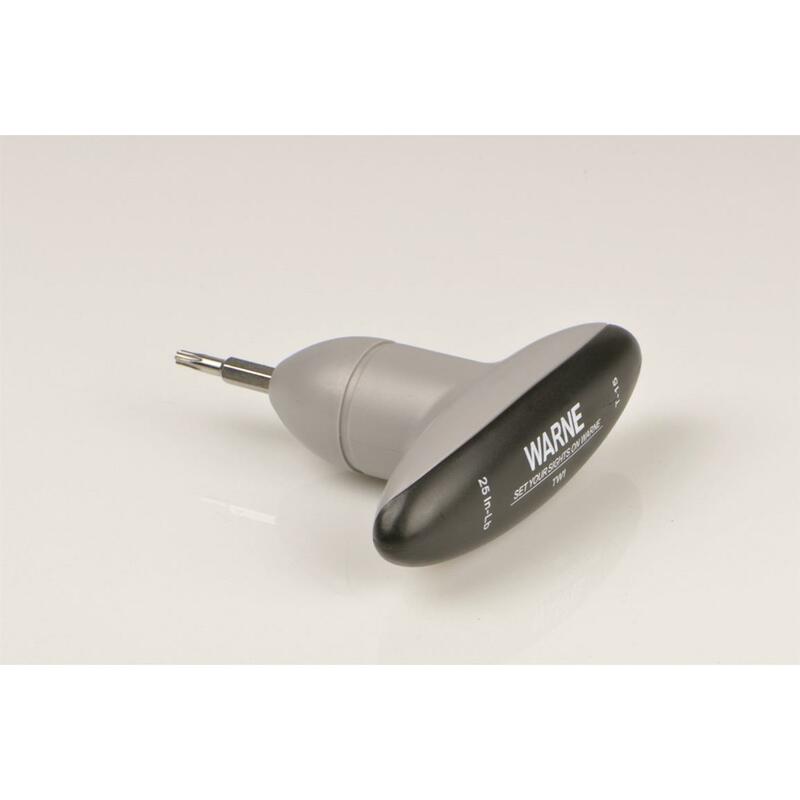 Add a precise touch to the mounting of your scope with a Warne T-15 Torque Wrench, preset to 25 inch pounds. The comfortable t-shaped handle allows you to easily control the pressure you need to add to firmly set, and not strip, the screws of Warne bases and rings. The simple break away design lets you know when the proper torque setting of 25 inch pounds has been reached. Designed for both bases and rings, this tool is a must have when installing or re-installing Warne mounting systems. This torque wrench is not recommended for use on aluminum receivers, as you may over torque and strip out the receiver.